Langley Projects are pleased to announce that the Accreditation of EN 1090 Execution Class 2 has been awarded to us by ISOQAR. 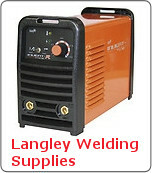 Achieving this Accreditation means that all welders employed by Langley Projects who work on Structural Steel, have the correct qualifications, the Company has appointed Factory Foreman, Sean Byram, as the Responsible Welder Co-ordinator to monitor and sign off the quality of welding on a regular basis and that all Welding Consumables are themselves CE marked. This ensures that all aspects of the production of a structural component are traceable and controlled. 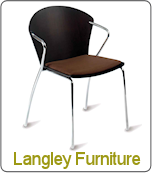 Langley Projects have a Factory Production Control (FPC) in place. From July 2015 a new EU Regulation came into force which means there is now a legal requirement for all structural Steel Fabricators to have an Accreditation in place that enables them to CE Mark ( C.E. are the abbreviations of the French phrase "Conformite European" ) which literally means European Conformity. 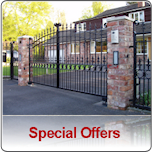 Please contact us in confidence knowing that this new regulation is covered with Langley Projects Ltd.
Langley Projects undertake both Commercial and Private Contracts ranging from Gates (Manual or Automated) for private residential properties through to larger contracts which include Structural Steelwork, Staircases, Fire Escapes, Balustrades, Balconies, Stainless Steel Hand rails, Signage etc.